The state of Florida is facing a serious homeless pet problem that affects every shelter across the state. Researchers at UF’s Maddie’s® Shelter Medicine Program are seeking ways to improve the outcomes for shelter animals statewide. The project is being led by Maddie’s® Professor of Shelter Medicine Dr. Julie Levy and veterinary student Patricia Diskant. They are asking what issues Florida’s animal shelters are facing through extensive data collection. In July 2013 the Florida state legislature passed Florida Statute 823.15. The statute requires public and private animal shelters to prepare and maintain specific records. The Shelter Census Project asks shelters for some of the statistics required by law. These statistics include number of animals surrendered by owner, number of strays taken in, number of animals reclaimed by an owner, number of cats returned to the field (known as Trap-Neuter-Release or TNR), and number of animals euthanized. The census has also been collecting other information such as the human population of the shelter’s service area and the shelter’s annual budget. Researchers have contacted 133 shelters across Florida. Despite the statute, 13 shelters have not reported their data, and 6 have incomplete statistics. Collecting data has been a lengthy process. Many shelters are overwhelmed and understaffed, and vary in compliance with the statute passed last year. Research assistants initially contacted shelters via e-mail, then followed up through phone calls. If the shelters still could not be reached they were sent certified mail. Some shelters have even required physical site visits to collect the necessary data. The Shelter Census Project goal is to provide a snapshot of the current state of animal shelters across Florida. The data will be used in several ways: first as a baseline for comparison in future years, and to identify trends associated with region, human population, and budget. The data will also be used to give an idea as to what changes should be made in order to increase live release rates. Researchers expect the numbers to be similar to those collected in the previous census, which showed that around 450,000 cats and dogs were admitted to shelters in 2012. Make a donation to support this and other research in shelter medicine. 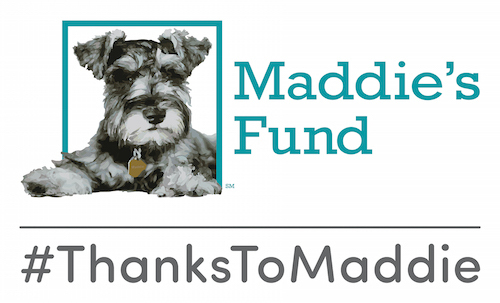 The Shelter Census Project is sponsored by Maddie’s Fund®.